The hunting prowess of this fearsome predator is beautifully captured by this sheet metal sculpture of a jaguar. 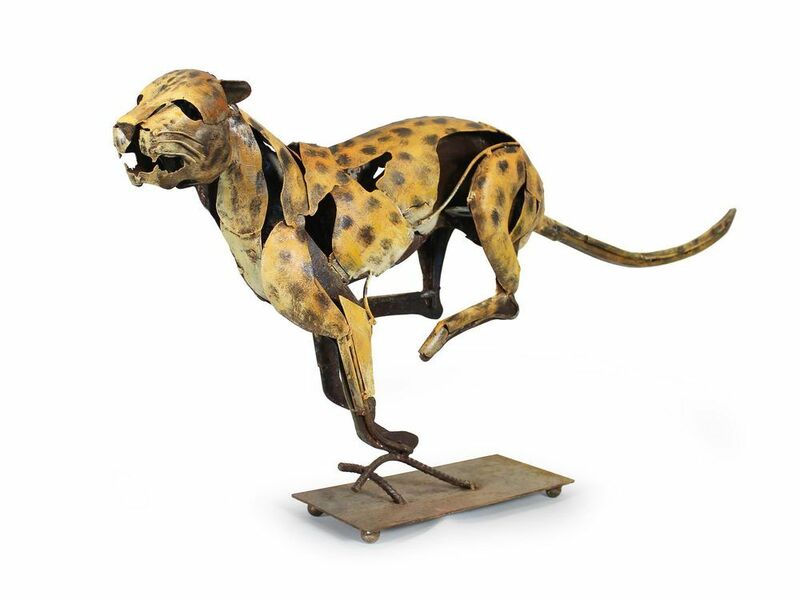 The strong head and lithe physique capture the stealthy nature of this big cat as he sprints after his prey, with the metal aptly accentuating the sheer force of movement. This abstract jaguar figure is made from reclaimed raw iron and then distress painted with the jaguar's trademark spots. At nearly a metre wide from nose to tail and mounted barely touching a metal platform, this powerful jaguar ornament will bring a sense of awe to your surroundings.